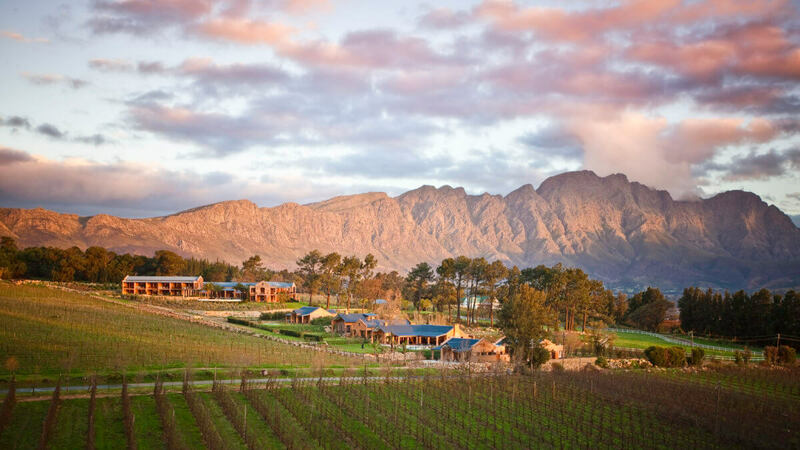 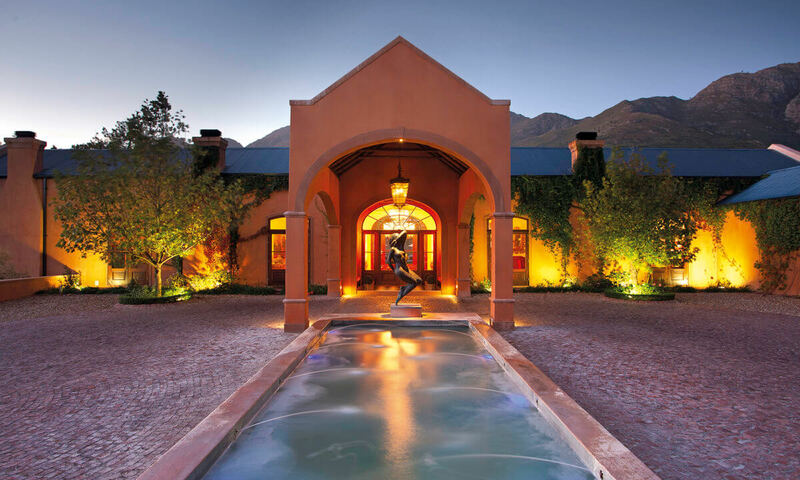 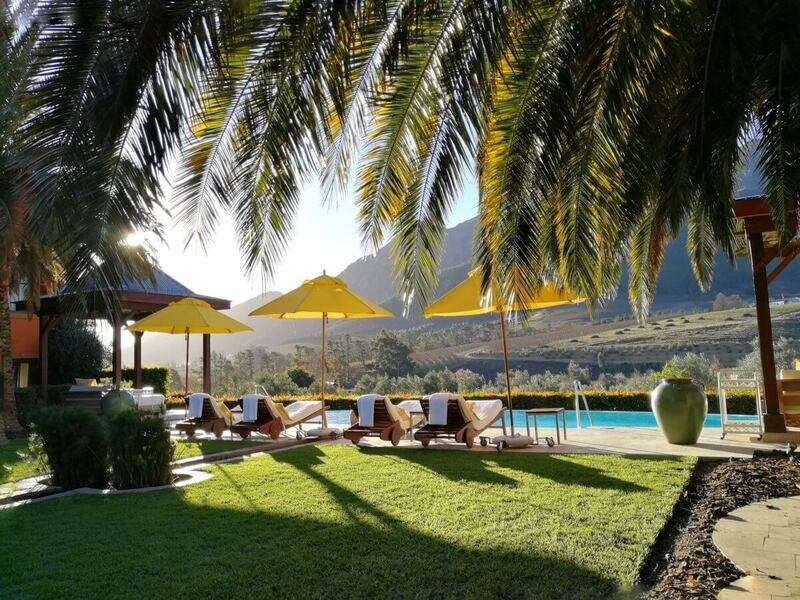 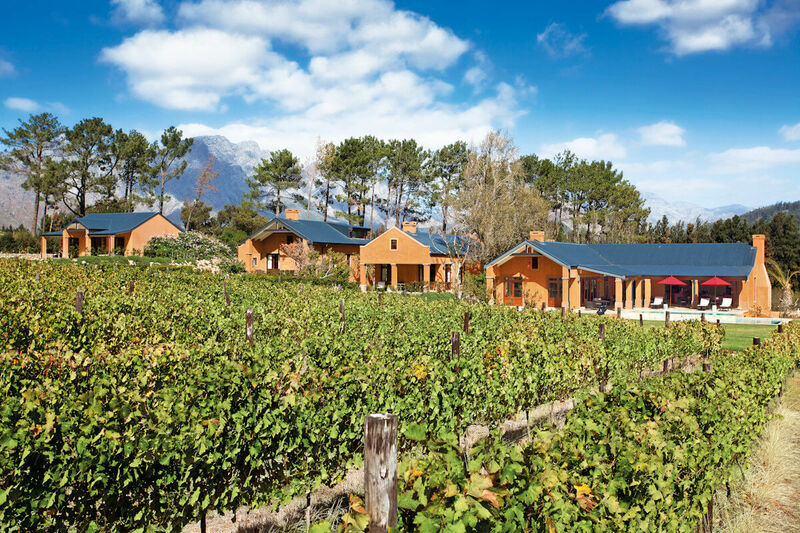 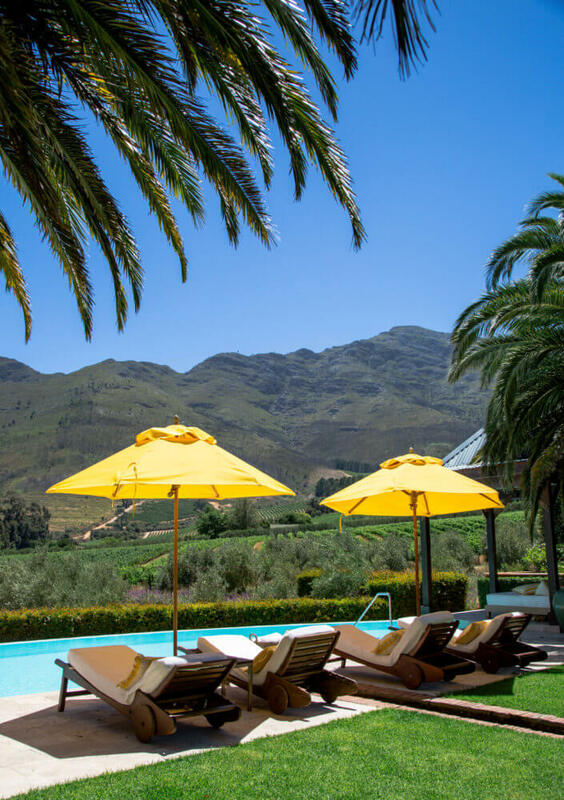 La Residence is just an hour’s drive from Cape Town but feels a world away hidden amongst the sprawling vineyards and pretty orchards of Franschhoek. 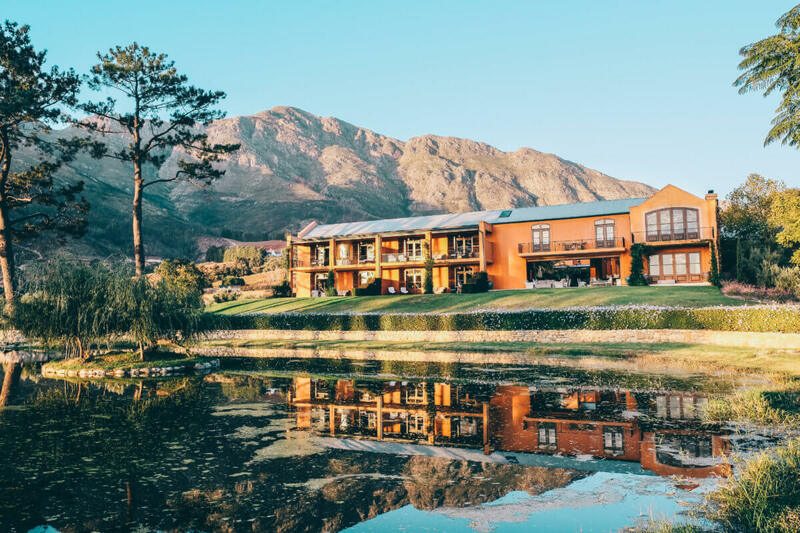 This is a place of true serenity, set in a beautiful valley with a spectacular outlook over the rolling countryside and mountains beyond. 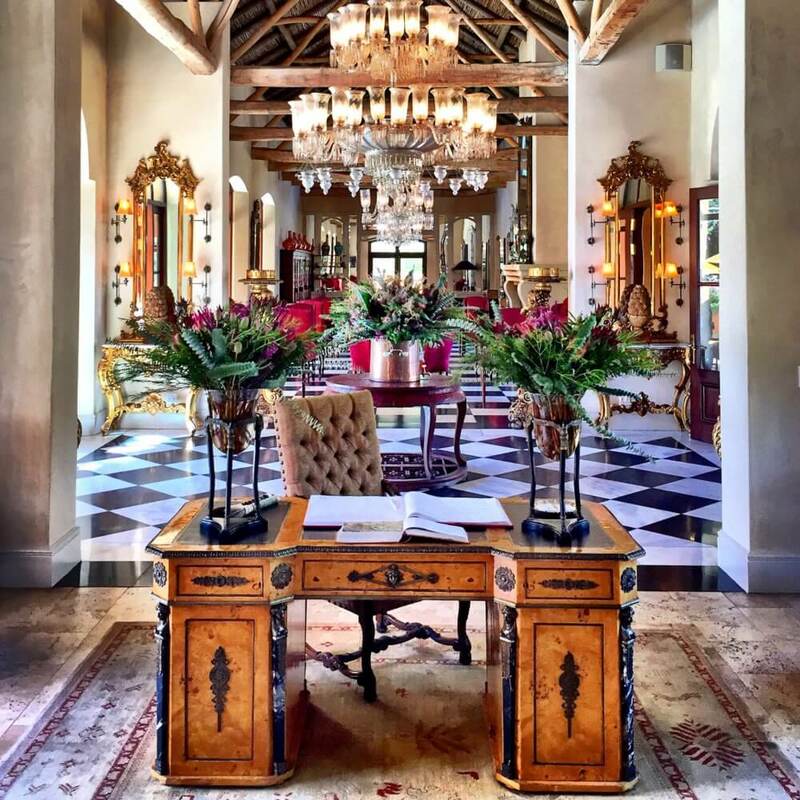 From the sparkling chandeliers to the South African art pieces that adorn the walls, La Residence oozes sophisticated yet characterful luxury. 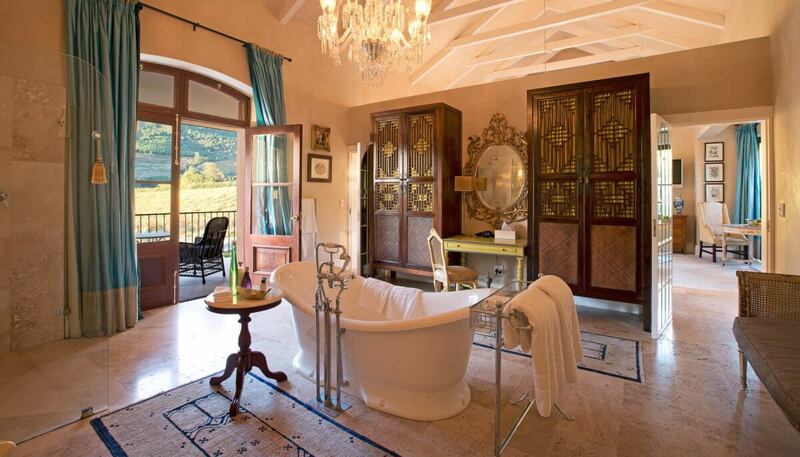 There are only 16 suites at this sumptuous hideaway. 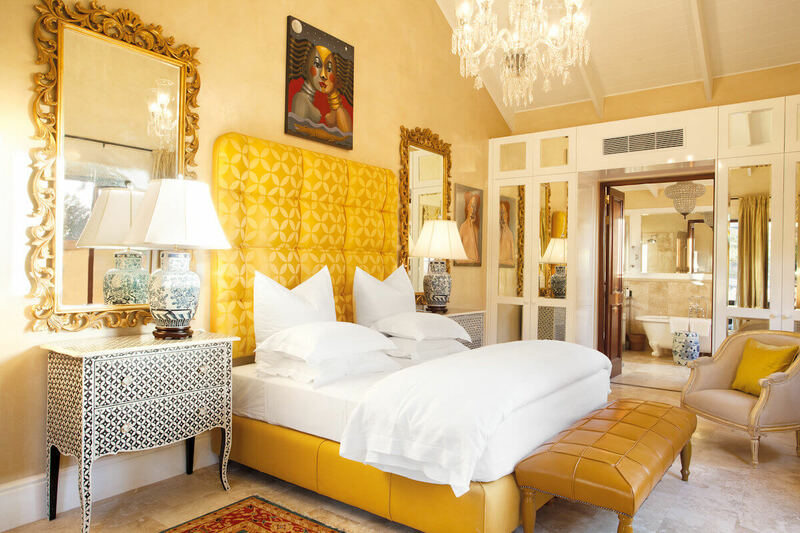 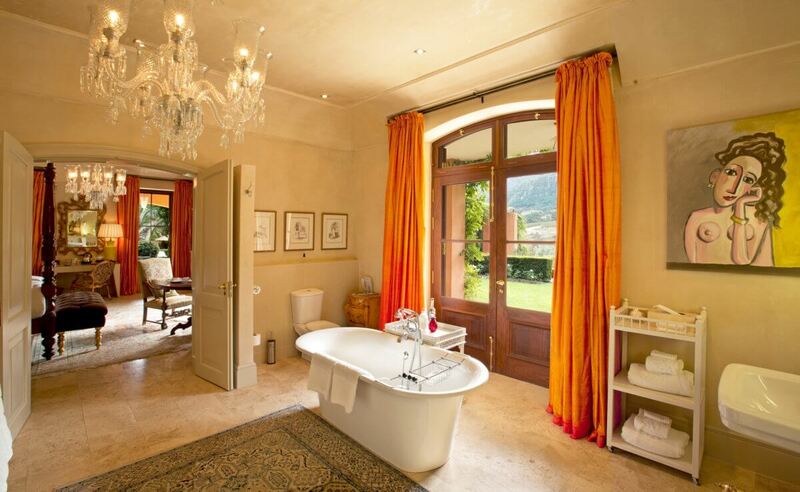 From the French antiques of the Hibiscus suite to the deep orange hues of the Tibetan suite, each has their own unique charm and flair. 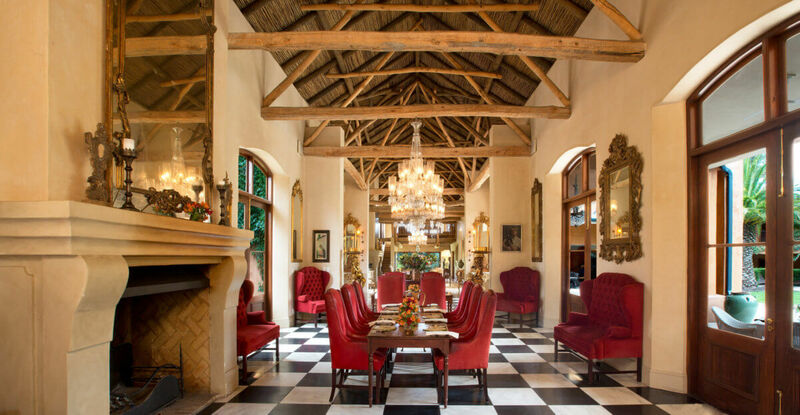 Stay at La Residence on your luxury, tailor-made holiday to South Africa, and you’ll find yourself in the vicinity of dozens of wine estates and some of the country’s top restaurants. 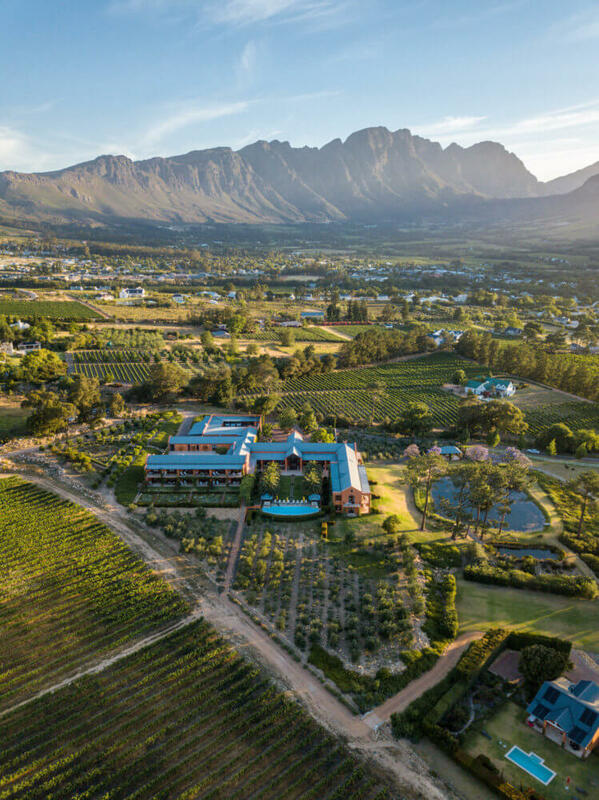 As well as sampling culinary delights, your days here can be spent exploring the valley by bike, enjoying private wine tastings, visiting art galleries and strolling through the vineyards of the property’s 30-acre estate. 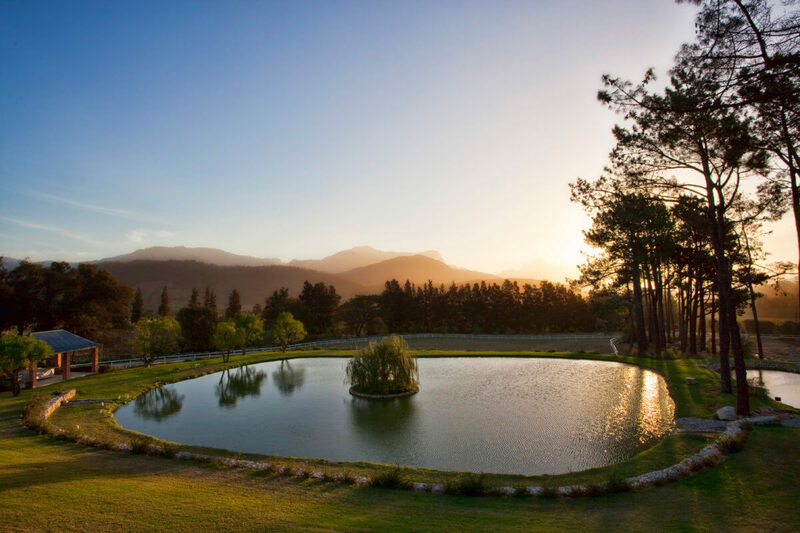 The adventurous can also choose from helicopter and horseback tours.